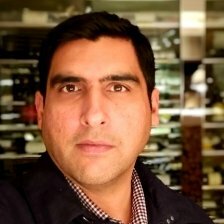 Nasir Khan is currently the Senior Director of Digital Product Security at Capital One. A resident of the San Francisco Bay Area, he has in the past been a Digital Product Security Architect at J.P. Morgan Chase and the Engineering Lead for Mobile Security at PayPal. In his 20 year career, transitioning to Cybersecurity from a product engineering background (software engineer at eBay and Fujitsu), he has experienced the full spectrum of cyber organizations of financial companies dealing with Digital Transformation.